After so much dreaming and planning, in November, 2017 we start Mother Nature project! We, the project team of 9 inspired women and 1 man from Hungary, Germany, Italy, Slovenia and UK met weekly over 2 months, through computer screens to set up the frame, workplan, basic agreements, logistic details, working culture. We also informed our colleagues and national networks about our plans and set up local teams. After months of online preparation over the 5 countries we finally met in January, 2018 in Sunny Hill eco community, Kostelec, Slovenia. It was nice to meet in person, get to know each other, really feel like a team, exchange ideas and educational methodologies, share about our own experience as mothers (and fathers), start working on the planned training methodology, complying the draft of the first planned training course. 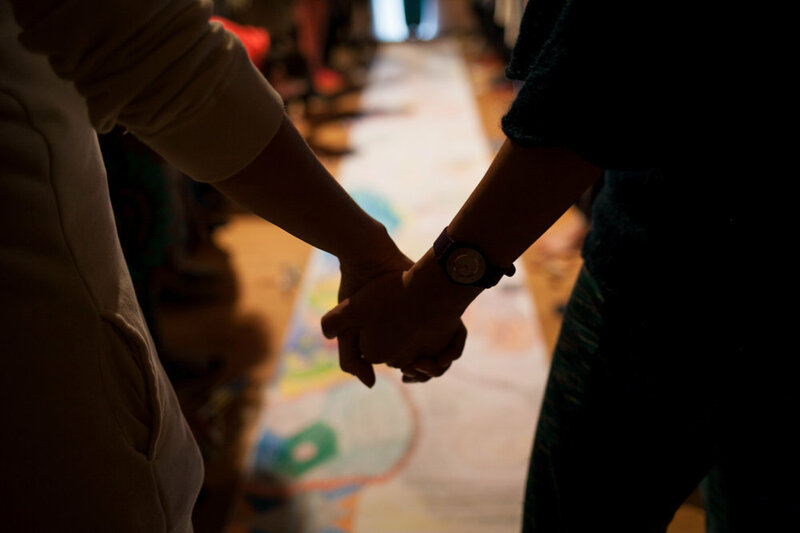 A national Mother’s Journey event in Italy was the first occasion to bring together mothers and learn together using the Mother’s Journey framework. In the following months project team members individually researched about educational methods, approaches and contents that can be accomodated in the Mother Nature programme. We met online to develop the training plan, create the graphic design and branding of the project, and the website that will accommodate the content. A FB page was also created to keep in touch with involved people and to get the word out. By March, 2018 our website was up and running and a call for participants for the international pilot training event was sent out in each of the project countries. In April, the National kick-off event in Hungary was organised, alongside with a full-day Mother’s Journey workshop. In June 2018 we had our first pilot training! 21 mothers (and their families) gathered in Téreny, Hungary with 7 facilitators. See the beautiful photos below. In October-December, 2018 an additional 10 pilot Mother’s Journey peer groups were set up in Italy, Slovenia, Hungary and the UK, with the double aim of organising support structures to mothers and to collect feedback to the Mother Nature team to develop our peer group guide. 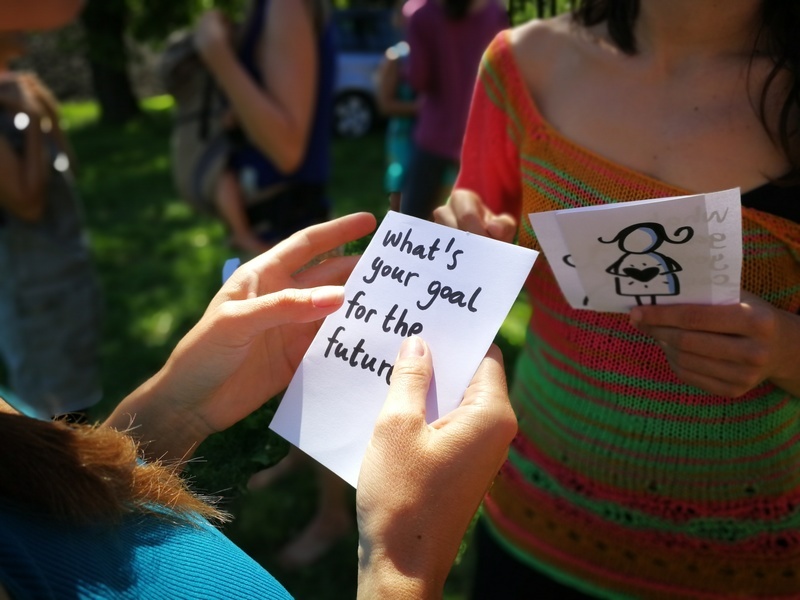 Reflecting on their personal transformation as mothers, using art-based activities and a series of structured exercise outdoors and connecting with the more-than-human world are important parts of the process. The partnership is working on developing an online support structure for the leaders of these groups as well as a workbook for mothers, a training curriculum targeting professionals supporting mothers and a deck of cards to explore the topic of motherhood. The partnership had its second international team meeting in December in Germany, hosted by an intentional community in Bavaria called Nature community. 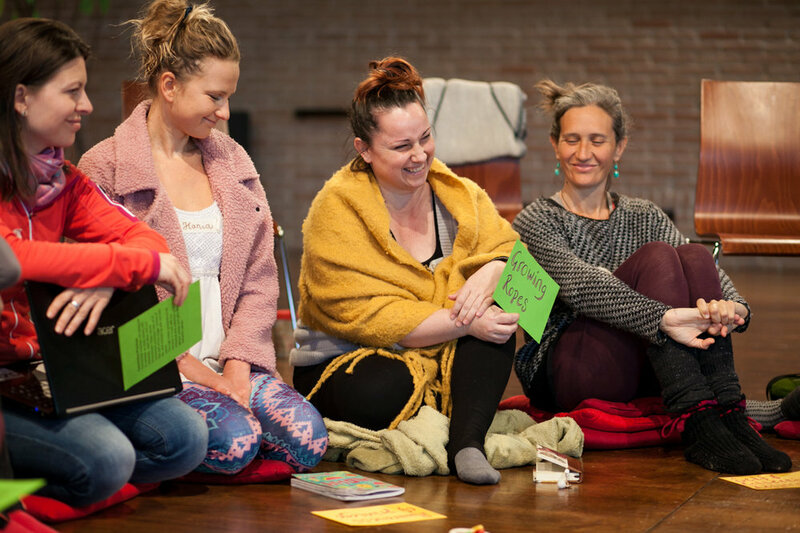 In March, 2019 we hosted our first training for professionals working with mothers, in Italy, Mondaino. It has been a rich empowering gathering for professionals and mothers from five different countries. Currently (Spring 2019) we are working hard to develop our Mother Nature workbook and deck of cards that will be released in Autum 2019.